AdHive, a native advertising platform that helps businesses scale their influencer marketing efforts efficiently. Advertisers offer a general idea of their message and let individual bloggers come up with their own scenarios. AdHive then employs both AI and community approach to verify and assess the results. To make transactions between advertisers, influencers, and the monitoring members of community faster, easier, and more reliable, AdHive launches ADH, its platform-wide cryptocurrency on January 15, 2018. 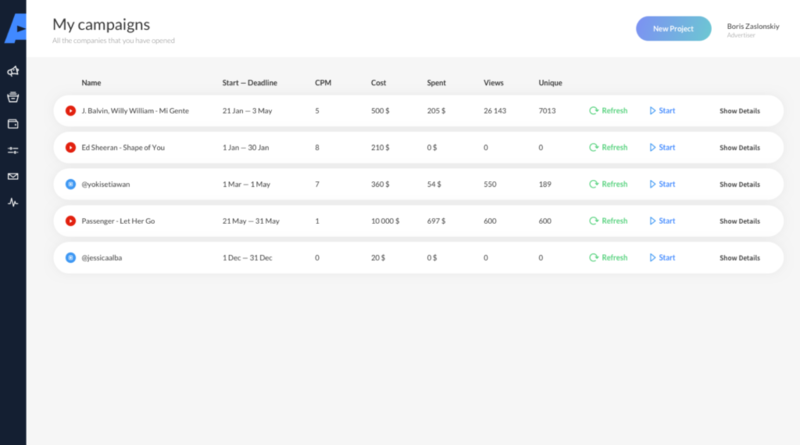 The platform can be easily integrated to deliver additional value for advertisers with other platforms and services for native video ad placement: Ninja Outreach, BlogMint, BrandBacker and others. 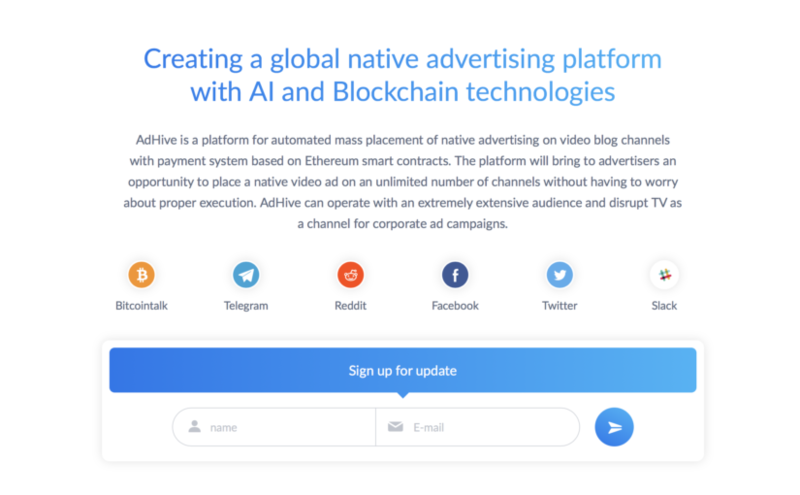 AdEx, a decentralized ad exchange, has signed a partnership agreement to collaborate in ad exchange in native video ad placement. AdHive was co-founded by Dmitry Malyanov and Vadim Budaev, serial entrepreneurs with background in B2B services, machine learning & speech/visual recognition at Scorch.ai and Webvane. Dmitry has over 10 years of experience in sales and management, including Groupon, while Vadim has worked as system architect and team leader for over 15 years. The third co-founder, Alexandr Kuzmin, is an experienced trader and a former professional poker player. At AdHive, he leads model development and financial management. The mathematical model and incentives of ADH have been developed by Serguei Popov, professor of mathematics at the University of Campinas, Sao Paulo, Brazil and AdHive’s scientific advisor. Sergey had previously authored the mathematical models of WINGS (https://wingsfoundation.ch/docs/WINGS_Scientific.pdf) and contributed to the theoretical work on another crypto-currency, NXT. At AdHive, his models help the system distribute rewards within each acting group in a fair way that incentivizes users to learn more and become better at their roles, for the benefit of every individual user and the platform in general. Next Next post: TIGEREUM SET TO POUNCE!